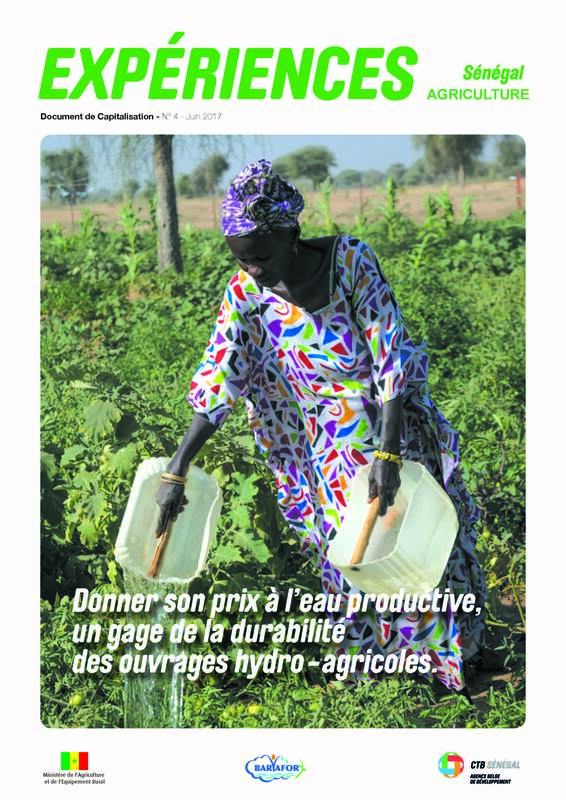 The Belgian Development Cooperation strengthens the poverty reduction strategies set out by Senegal's authorities by focussing on health, water and sanitation improvement in the five regions of the Groundnut basin (Diourbel, Fatick, Kaolack, Kaffrine and Thiès), which is home to five million inhabitants. Our health programme covers three axes: the management of services at all levels of the health system, the quality of health care, and the accessibility of health care, in view of providing equal access to these services. In addition to the technical and financial support provided to these five regions, we also carry out pilot projects: installation of a lump-sum payment system for health care and of health insurance, decentralisation of care for chronic diseases and certain emergencies, development of an integrated IT system for the management of health information. These initiatives inspire the national strategies. 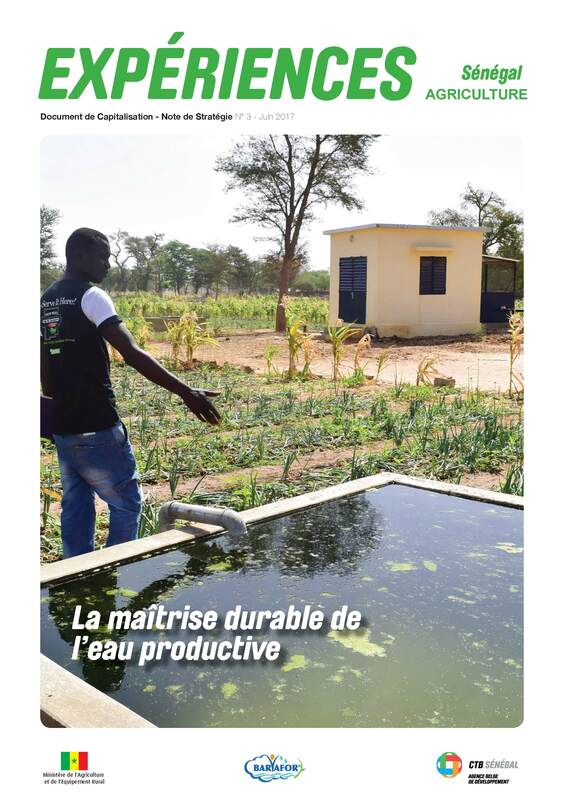 Belgium has much experience in the domain of hydraulics in rural areas, allowing about 500,000 Senegalese to access drinking water. We further pursue this commitment. 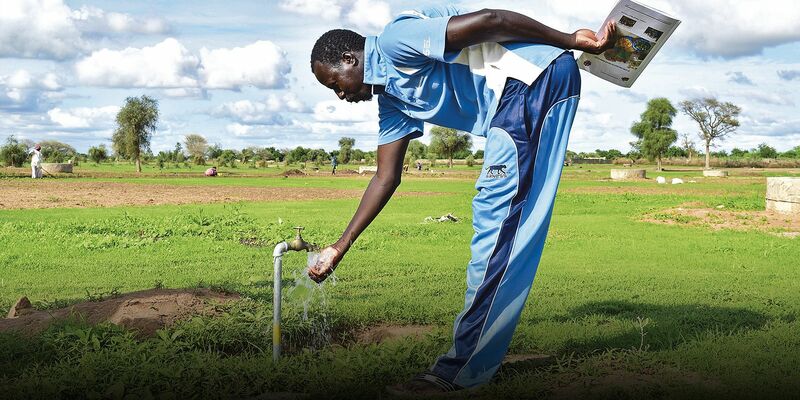 Our objective is to provide an additional 20,000 people with drinking water by 2020, to put in place quality drinking water distribution networks for 60,000 people and to improve the access to sanitation for 70,000 people. Also campaigns to promote hygiene are carried out. Production water stands for the efficient and rational use of water for economic purposes. We foster the development of agro-sylvo-pastoral productivity by realising infrastructure such as runoff impoundment works, retention basins and anti-salt dams, which helps stock and supply water to crops and limits marine intrusion into arable land. Belgium's support has already produced 11 million m3 of runoff catchment, allowing the irrigation of more than 2,000 hectares for rice and market gardening crops. Belgium now focuses on promoting rural entrepreneurship (of youths, and of men and women) as a major means to foster development and alleviate poverty. We contribute to sustainable job creation by supporting the development of adapted services and infrastructure and by accompanying the entrepreneurs and their organisations in promising value chains. 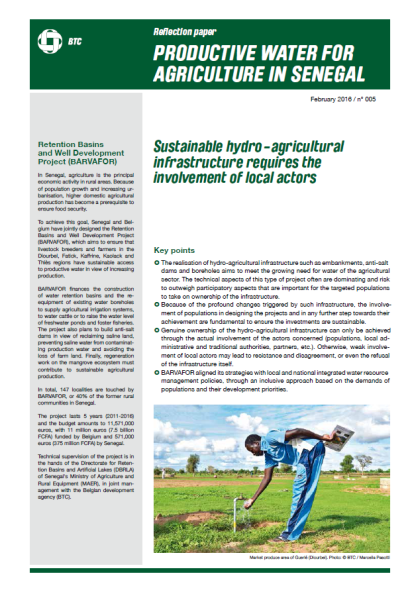 Particularly thanks to the support of other donors such as the European Union significant investments have been made in the construction of hydro-agricultural works, in coaching young one-person business entrepreneurs, in producers capacity development (farmers’ organisations and groups, land management committees), in access to vocational degree training and in funds for productive projects. 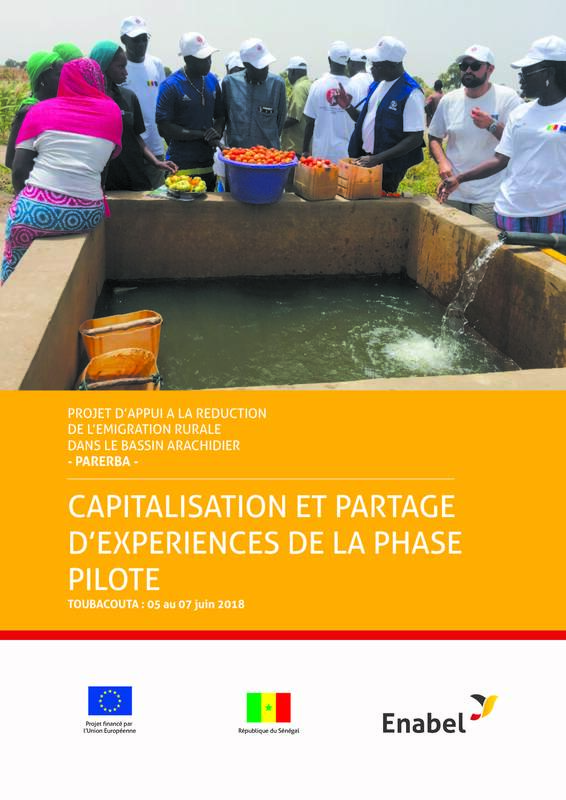 The capacity development programme supports the two priority sectors (health and water) and focuses on long-term investments in the workforce in Senegal. 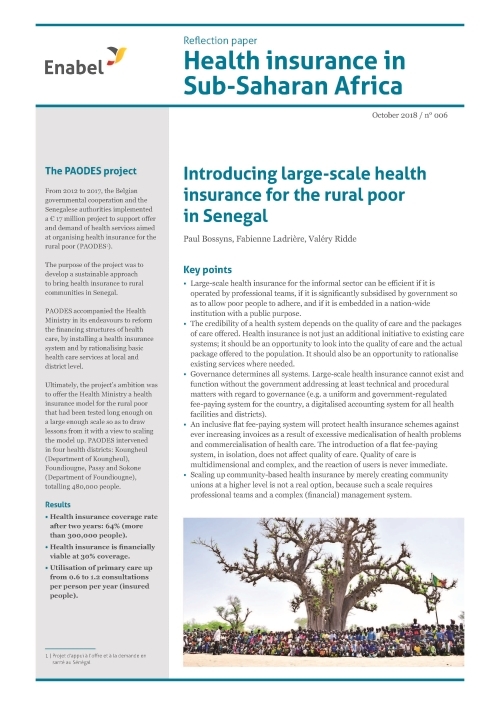 Financing health care – More than 100,000 people covered by health insurance in Senegal. 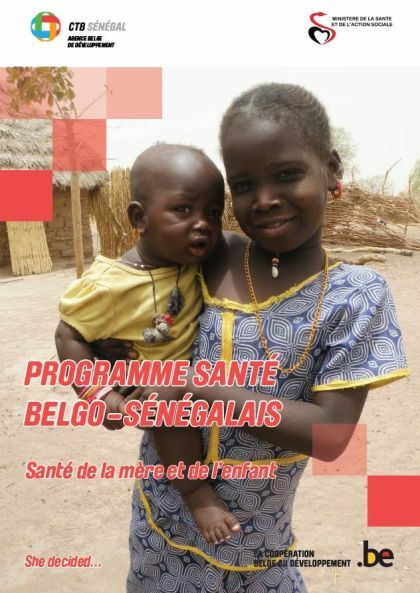 Enabel implements projects in Senegal, primarily in the domains of health, water and sanitation.